The Warn Spudura™ Rope Extension has a loop on both ends, allowing you to extend the reach of your winch. The reinforced soft eyes provide ease of use and reduce weight of extension. 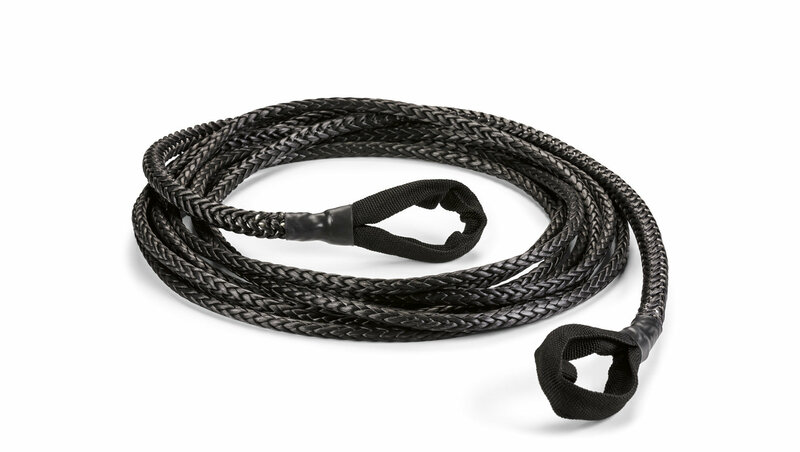 This rope extension is constructed of a unique ultra-high molecular weight polyethylene material with a ballistic nylon sliding sleeve to provide extra protection against wear and abrasion. For Winches with 10,000 lb. (4535 kg) pull rating or less. WARN Spydura Pro Synthetic Rope- 3/8"